Stellaria crispa Cham. & Schltdl. 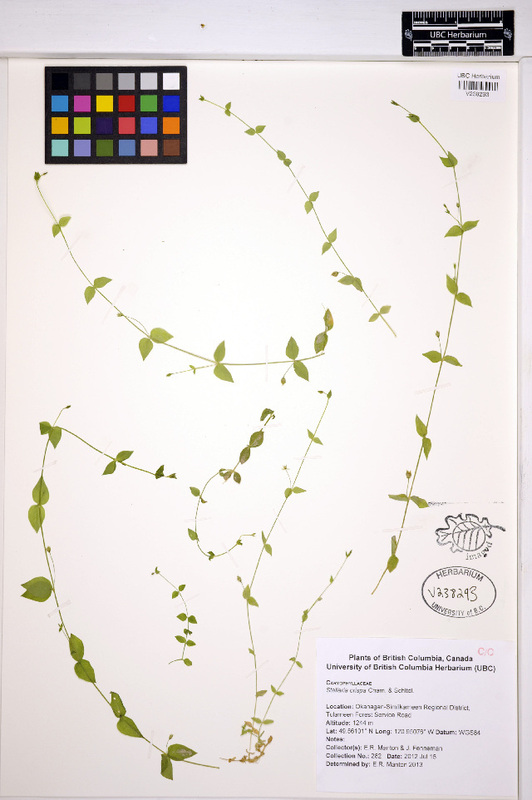 Stellaria crispa is a herbaceous species of plant in the family carpetweeds, with a self-supporting growth habit. It is a photoautotroph. Definition: The sloping margin of a stream, serving to confine it to its natural channel.